Jem (Office Tower) was awarded Green Mark Pearl Award accorded by the Building Construction Authority (BCA) for its environmental design and performance. 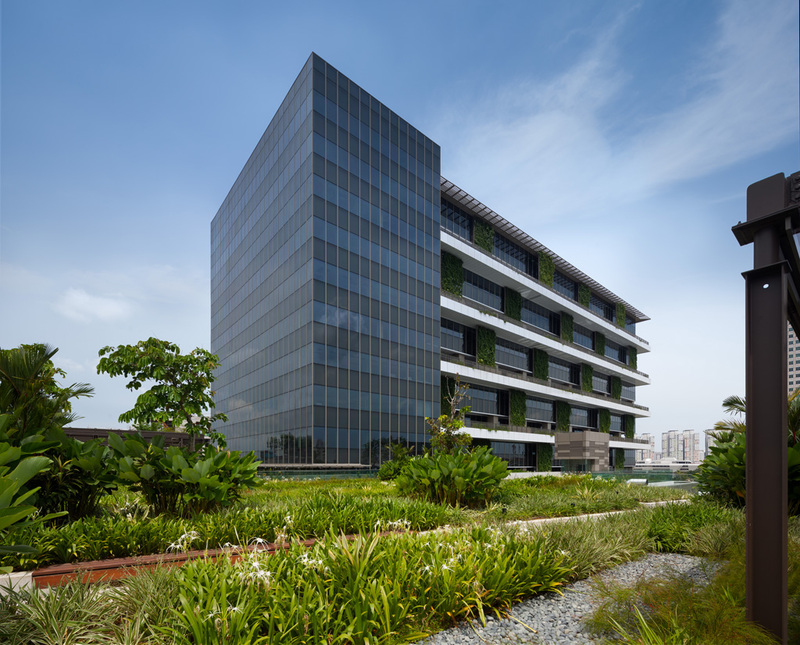 Located at the heart of Jurong Gateway Master Planning area, Jem is made up of a five-storey retail podium and an 12-storey office tower, occupied by the Ministry of National Development. As part of an original landscape replacement strategy, Jem incorporates 124% green replacement through a garden facade that cascades like a green waterfall all the way down ot the ground level and consists of a sky sanctuary, cascading sky terraces and green roofs. Launched in 2005 as an initiative to drive Singapore’s construction industry towards more environment-friendly buildings, it is intended to promote sustainability in the built environment and raise environmental awareness among developers, designers and builders when they start project conceptualisation and design, as well as during construction.